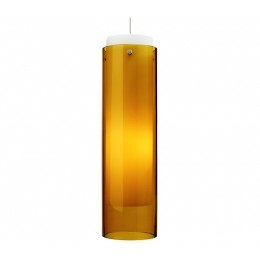 Transparent cylinder shade over a white case glass cylinder. Black, satin nickel, and white finish options highlighted with three satin nickel cylinder details and clear cable; antique bronze finish highlighted with three antique bronze cylinder details and brown cable. 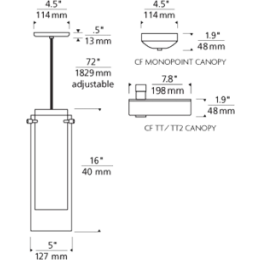 Includes 120 volt, 75 watt or equivalent medium base A19 lamp or 32 watt GX24Q-3 base triple tube compact fluorescent lamp (electronic ballast included). 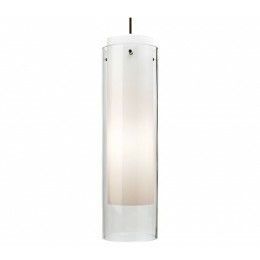 May also be lamped with GX24Q-3 base 26 watt triple tube compact fluorescent lamp (not included). 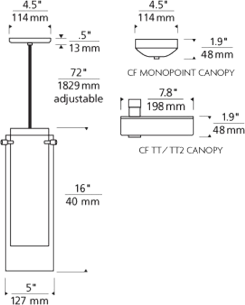 Fixture is provided with six feet of field-cuttable cable. Incandescent version dimmable with standard incandescent dimmer. 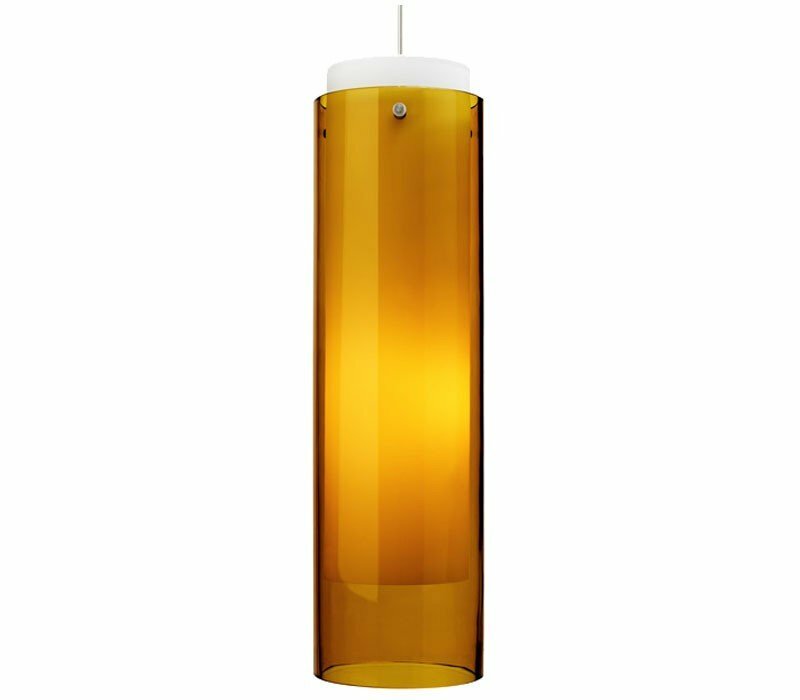 The Tech Lighting 700TDECGPCZ Echo Grande collection Pendant Lighting in Antique Bronze uses Incandescent light output and brings Modern style. This item is 16"H x 5"W. The total wattage is 75 and the voltage is 120 volts. The Tech Lighting 700TDECGPCZ requires 1 bulb (not included). 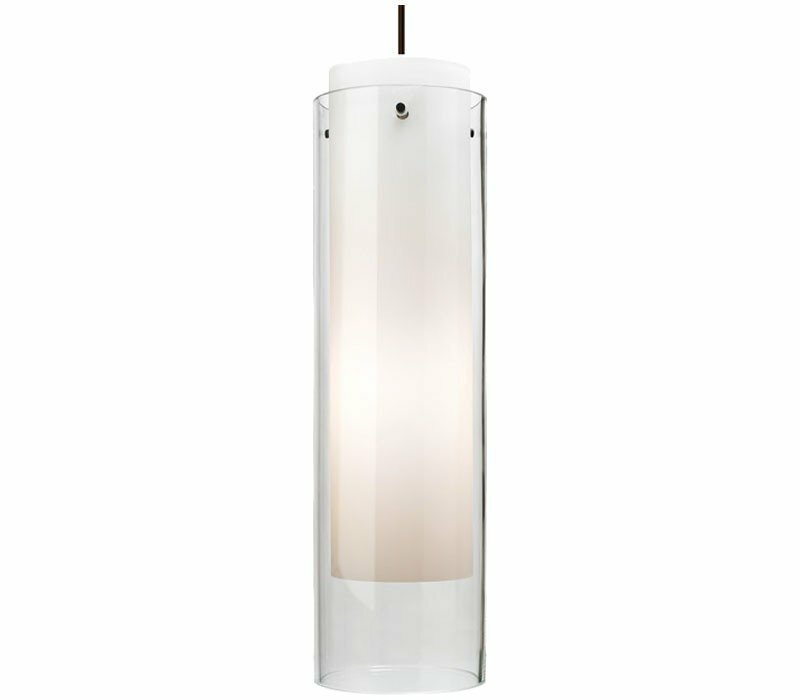 Additional Information: Shade-Transparent Clear Glass with an Inner White Cased Glass Cylinder.